The more you put into a car, the more you’re likely to get out of it. Make sense, right? Unfortunately, people sometimes ignore this simple fact. This is especially true when it comes to maintenance. But keeping up with things like oil changes and manufacturer-recommended service visits can mean the difference between your car running well for a few years—or it running well for a decade or more. But if you’re doing a cost-benefit analysis—in other words, if you’re weighing the cost of doing the maintenance against the benefit of simply leaving things as-is for another couple of months—don’t forget to take into account what it might cost to neglect your car. Bringing the thing in for repairs might be inconvenient, but consider the alternative. Leaving things to chance could lead to emergency fixes down the road. And as you might imagine, those costs can really add up over time. Regular oil changes are essential to a well-running engine. That’s because new oil reduces the friction between your engine’s moving parts, allowing it to operate more effectively and efficiently. 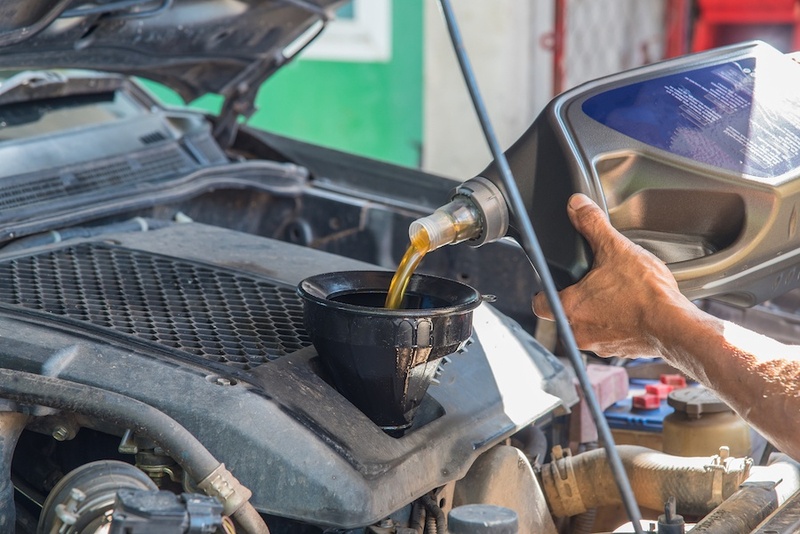 While you should check the manufacturer recommendations for your particular vehicle, the general rule of thumb is to have the oil changed about every 5,000 km or every three months–whichever comes first. Oil changes are affordable and typically completed in 30 minutes or less at minimal inconvenience to you. But not sticking to your oil change schedule could lead to engine failure and the need for whole engine replacement, a cost of $5,000 or more. Next to the engine, the transmission is the most important component of a vehicle. And that’s why it’s recommended that you have your vehicle’s transmission fluid flushed and replaced about once every 60,000 km. Neglecting this maintenance can result in transmission failure and the need for replacement, which can cost up to $4,500 CAD for a new unit, or $3,000 for a rebuilt one. If you haven’t had your cooling system examined, put a check of this system on your “to-do” list the next time you have your vehicle serviced. That’s because the cooling system helps prevent the engine from overheating, which could result in damage or full-blown failure. We strongly recommend you do this check every two years, and that repairs are done accordingly. Because as we mentioned above, a new engine could cost $5,000 or more. Belts are one of the true unsung heroes of engine functionality, as they work to keep the engine operating as it should. Unfortunately, because they are under strain literally every time the vehicle is driven, they’re susceptible to cracking and wear. That can lead to a breakdown. Some belts—like the fan belt and serpentine belt—are relatively inexpensive. You’ll be out $75 to $100; $200 tops. Timing belts, however, can cost much more. If one breaks while you’re driving, you may get lucky and only be out the cost for a new belt, which is around $800. But your vehicle may also sustain engine damage, which can cost upwards of $3,000 CAD to repair. The moral of the story? Keep an eye on those belts. Having your vehicle’s tires rotated is one of the most inexpensive and convenient maintenance tasks that you can have performed on your vehicle. It’s typically recommended to have the tires on your car rotated at least twice a year—think “every other oil change”— to ensure that the tread wears evenly and the tires themselves last longer. Well-cared for tires can last for up to 80,000 km, 100,000 km or more—but premature and uneven wear from failing to rotate them can lead to early tire replacement. A set of new tires can cost over $900 CAD, so you can see how important it is to get the most out of each set. There are certainly other repairs that drivers neglect—like brakes, plugs, filters, and batteries—but there aren’t really any others that cost so little to take care of that can lead to such problems if you don’t. 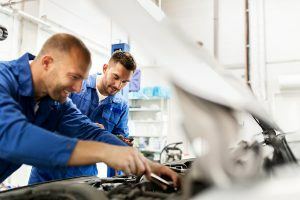 No-one said owning a vehicle was an inexpensive proposition, but we think you’ll be shocked by just how much poor maintenance habits can drive up the cost of ownership. For more information on vehicle repair in general—or to book one of those maintenance jobs you’ve been, ahem, ignoring—contact us today.